There are 2 versions of the design included: with one applique fabric and with three applique fabrics. You can read about how to embroider the designs on the page with instructions. This machine embroidery design is part of our Applique and Thanksgiving collections. It uses the Applique technique. It is available for the Commercial hoop (8" x 12"), Large hoop (5" x 7") and Mega hoop (6" x 10"). 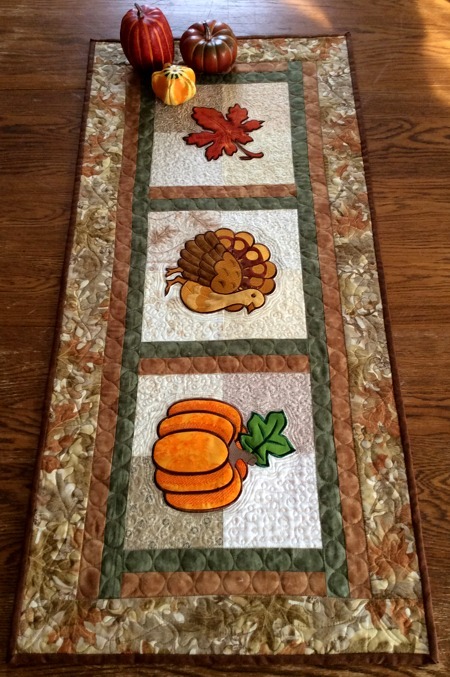 We used the Turkey applique on the Thanksgiving Table Set. 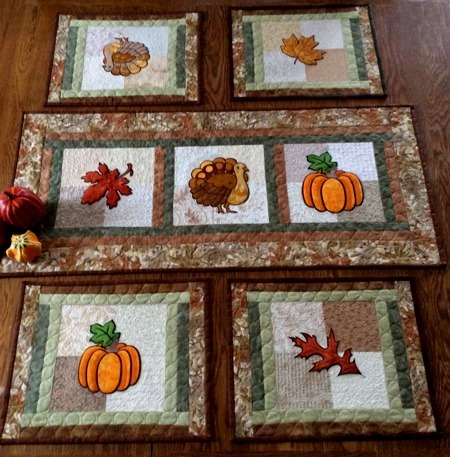 You can read about how to sew the table runner on the project page.